Green mood in New Orleans. Maybe not one of the busiest (but the numbers were nonetheless significant), surely one of the most exciting and compelling editions of Greenbuild, the one concluded last week in New Orleans. The leadership in jazz, the ease, the green reconstruction nine years after Katrina. So many meetings, people, emotions. Greenbuild is definitely the unmissable event, the annual convention that brings together the community of green practitioners to share the best sustainable practices. Here is Rick Fedrizzi (CEO of USGBC) introduction during the “Opening Plenary and Celebration” at the Mercedes-Benz Superdome (wow, what a location …!). These are in my opinion the ten moments and meanings that this twelfth edition left me (not in order of importance). 1 | Rick Fedrizzi and the shared leadership. The feeling this year is that the USGBC is now a extremely well-oiled and mature organization, where it is not necessary that the charisma of Rick is predominant. The new figure of the president, Roger Platt has made the scene, for instance. And the presentation of the samples of sustainability champions (too long to list them all) of the USGBC and its network during the closing ceremony testifies to the direction that the greatest world organization of this kind has taken. A distributed leadership through several departments, geographical areas and different ages (I’ve never seen so many young people like this year!). 2 | Scot’s dynamic plaque: the novelty of this year, the paradigm shift. The creation of Scot Horst, finalist among the most innovative design objects at the Fast Company event two weeks ago, is the tool that can really change our built world. It monitors and assigns a score in real time to the sustainability of any LEED certified building. Only if you measure you can improve, we know it; the dynamic plaque is the platform we all were been waiting for. Here is Scot’s speech ! 3 | Living Building School: Living Building Challenge and the sustainability embedded in the DNA of the new generations. 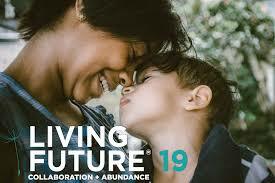 I love what the people at the International Living Future Institute are doing. If the school (as education provider) is “magistra vitae,” buildings like the Bertschi School in Seattle are living organisms that educate our children to grow up aware of the balance with nature and its resources. A lot of talks about education and training, along all three days, good sign. 4 | Retailers could be the new messengers of sustainability. The case of Starbucks (500 LEED certified shops ! ), Verizon, and some others. We see that large international companies operating globally, can do a lot in terms of reducing their impact. It’s also a matter of responsible communication to the customers as well as a virtuous management of their business. Not surprisingly, the latest report of USGBC (LEED in motion) is focused entirely to retail and its opportunities. 5 | Biofilia. It is no longer an esoteric concept, it really becomes a tool for urban planning. We have heard this keyword more than once. Particularly impressive, in my opinion, the speech of Julia Africa, of the Center for Health and the Global Environment at the Harvard School of Public Health. Biophilic urbanism, which foregrounds access to nature and biodiversity in urban settings, supports improved public health and environmental quality through daily opportunities for contact with nature. 6 | The social credits. Getting credit for doing good. LEED opens the door to the pilot credits of social equity. And this is certainly innovative, not only for LEED but for sustainability protocols in a broader sense. Social equity within supply chains, communities, project teams. 7 | LCA (Life Cycle Assessment). Now a standard, although the majority of the manufacturers has not yet grasped this first passage for the “revolution of transparency” that has a huge market potentiality. This is the metric that could change the fortunes of many companies. The novelty is that now we speak of LCA in the whole building, see the calculation tool (easy to use, it seems) developed by Athena Sustainable Materials Institute. 8 | Act on the built environment. We have already done it all, now we have to upgrade the built assets to the standards of the new millennium. Thus said Scot Horst in his passionate presentation of the dynamic plaque. There is an enormous space for redevelopment and improvement. With a focus on historical buildings, see the great example of the Pearl Brewery complex in San Antonio. 9 | The master speakers: Katharine Hayhoe, associate professor in the Department of Political Science and director of the Climate Science Center at Texas Tech University (the climate change is linked to the man activities and behaviour, end of discussion), Deepak Chopra (a roadmap for “higher health, “based on the latest findings in both mainstream and alternative medicines – with a “mediation session bonus”). Motivating, exciting, inspiring. They helped us to think “out of the box”. 10 | Resilience, after Katrina: rebuilding in a sustainable way, nine years later. Resilience, much quoted at the conference. Safety and stability of our houses come before the need for energy efficiency, what do you think? Isn’t it a matter of sustainability? Because what happened in New Orleans will not happen again. Greenbuild is the world’s largest conference and expo dedicated to green building. The ideals and passion of the green building community come alive at Greenbuild. The buzz is contagious. Greenbuild brings together industry leaders, experts and frontline professionals dedicated to sustainable building in their everyday work, and a unique energy is sparked. Participants are invigorated. Inspired. They find themselves equipped to return to their jobs with a renewed passion and purpose. These are the past editions: Austin 2002, Pittsburgh 2003, Portland 2004, Atlanta 2005, Denver 2006, Chicago 2007, Boston 2008, Phoenix 2009, Chicago 2010, Toronto 2011, San Francisco 2012, Philadelphia 2013. Join the Green Revolution (and the Leadership in Jazz) in the Big Easy. We’re joining together in New Orleans from Oct. 22-24 for Leadership in Jazz. The music of the green movement is undeniable – its lyrics are engaging individuals across the world, its innovation is reviving our spirit and its passion is fueling the future. Together our unique ideas are improvising a melody that is leading a successful transformation of our building and communities. The Big Easy is the perfect setting to celebrate this global impact, while also embracing the essence of community, culture and soul. Greenbuild is the world’s largest conference and expo dedicated to green building. The green building community gathers to share ideals and mutual passion at Greenbuild, sparking a contagious buzz throughout the week. When industry leaders, experts and frontline professionals dedicated to sustainable building in their everyday work come together, the result is a unique and palpable energy. Participants are invigorated and inspired. They find themselves equipped to return to their jobs with a renewed sense of purpose. Greenbuild features three groundbreaking days of inspiring speakers, invaluable networking opportunities, industry showcases, LEED workshops and tours of the host city’s green buildings. Join thousands of other people who agree that green building is a good idea and good for business. Morial Convention Center. 900 Convention Center Blvd. New Orleans, LA 70130. The newly renovated Morial Convention Center in New Orleans features 1.1 million square feet of contiguous exhibit space and is the sixth largest convention facility in the nation. Expo: Oct. 22-23 | Conference: Oct. 22-24. Il business sostenibile di Davies Office. Capita spesso di vedere, sui siti web che parlano di sostenibilità o sui giornali, di artigiani o amanti del fai da te che sistemano vecchi mobili per dar loro una nuova vita. Ma ciò fanno quelli di Davies Office, come mi ha raccontato Doug Pilgrim, New Business Development and Sustainability Manager, che ho incontrato lo scorso novembre a Greenbuild, Philadelphia, è davvero un business della sostenibilità sviluppato su scala industriale. Refresh | Modernizzare l’ambiente aziendale con marchi perfettamente rigenerati come Herman Miller, Steelcase e Knoll. Remotivate | Creare aree di lavoro che siano contemporaneamente funzione e ispirazione, portando le persone a concentrarsi, a collaborare e ad essere più produttivi. Recalculate | Sistemare il costo totale della proprietà attraverso il recupero patrimoniale e bancario e programmi di scambio che massimizzino le risorse. Recycle | Dimostrare la responsabilità aziendale (CSR) e guadagnare punti LEED facendo la propria parte per la riduzione dell’impatto ambientale. I benefici economici sono di sicuro interesse: Davies Office dichiara sugli arredi ricostruiti un 40-70 % di risparmio rispetto ad arredi nuovi della stessa marca. ‘To put it simply, we are the greatest saving a company will realize by doing the right thing‘. – dice Doug Pilgrim. Anche i benefici finanziari contano. Gli arredi acquistati anni fa acquisiscono un nuovo valore più alto e si riduce il fattore di degrado. Oltre a ciò Davies Office offre servizi di brokering, banking program, product exchange. E la qualità com’è? Date un’occhiata alle immagini. Risparmio di 250.000 $ in costi di magazzino. Risparmio energetico sufficiente per alimentare 3.172 famiglie medie americane per un giorno. 157 tonnellate di materiali di scarto tolte dalle discariche e 456 t di materie prime risparmiate. Riduzione di 96 tonnellate di CO2. ‘Sustainability is good business‘. – Bill Davies, Davies Office. 1. L’impatto dei materiali da costruzione sulla salute. Se prima quella dei materiali e delle risorse era semplicemente una delle aree di LEED (ma di fatto la scelta dei prodotti, anche riguardo all’efficienza energetica, portava già quasi il 50% dei punti della certificazione) ora con la nuova versione 4 diventa l’assoluta protagonista. Composizione delle materie prime (l’etichetta degli ingredienti ! – vedi Declare – una rivoluzione forse lenta ma inesorabile), attenzione (con un approccio scientifico alla chimica delle emissioni) ai VOC, analisi del ciclo di vita (ma non basta, lo si è già capito, anche se per cominciare ‘prima misurare, poi migliorare‘). Insomma, musica per le orecchie delle aziende (quelle che capiranno che un treno sta partendo e bisogna prenderlo) e praterie di sviluppo professionale per i tecnici che sapranno evolvere verso una ‘sostenibilità 2.0‘, quella davvero ‘operativa’. Le domande del tipo ‘ho certificato l’edificio … e ora? ?’, ‘sì, ma l’edificio certificato LEED Gold si comporta davvero da LEED Gold?’ troveranno risposte puntuali. Già LEED EB:O&M (Existing Buildings: Operations & Maintenance) aveva introdotto l’obbligo di documentare ad un ente terzo i consumi nei 5 anni successivi alla certificazione, per dimostrare la corrispondenza tra quanto progettato e quanto costruito/gestito. Quindi costringendo utenti e property managers alla gestione virtuosa degli edifici. Ora USGBC introduce, con la LEED Dynamic Plaque, una piattaforma di misurazione in tempo reale di consumi e comfort reale/percepito che vede l’utente virtualmente seduto davanti ad una consolle di comando e gestione, in grado di allineare sempre di più prestazioni attese e reali. E intanto così si continua ad alimentare un immenso database di edifici, consumi e prestazioni (l’Energy Star’s Portfolio Manager) che di fatto è il valore aggiunto e cuore pulsante del sistema green building implementato dagli americani. 3. La scalabilità del sistema. Dall’edificio alla città. Che il cammino verso la sostenibilità dovesse portare dal sistema edificio a sovra sistemi più complessi (il quartiere, la città, la comunità green) era concettualmente logico. Ma si continua ad operare su livelli disgiunti. Da una parte la ricerca ossessiva dell’efficienza dell’edificio e delle sue componenti. Dall’altra un approccio alla città che si basa soprattutto sulle reti (‘smart grid’? questa locuzione non vi sta letteralmente a noia??) e che vede gli edifici come terminali quasi esclusivamente tecnologici. Ora, piattaforme come la sorprendente 2030 Palette, ideata da Architecture 2030, una delle società più dinamiche e allineate con la sostenibilità che gravitano nell’orbita USGBC, permettono all’architetto/urbanista di declinare su scala globale l’approccio alla riduzione dei consumi energetici e della CO2, da una parte, e all’impiego di rinnovabili dall’altra, che si applicano nella progettazione di un edificio. Insomma, dall’edificio alla scala urbana, in uno scenario che implica anche un’evoluzione del ruolo di urbanisti e developer. Oltre al cambiamento di scala ‘tecnico’, quello ‘commerciale’: con l’annuncio della prima edizione di Greenbuild in Europa a Verona (8-10 ottobre 2014), il brand della convention/exhibition esce dal continente americano per accompagnare lo sviluppo di un World GBC che già vede più di 100 paesi soci. Un’avventura, guidata da un colosso americano degli eventi nel settore delle costruzioni e della sostenibilità, Hanley Wood, sicuramente impegnativa (anche per la posizione nel calendario, la settimana dopo MADE Expo e due settimane prima di Greenbuild New Orleans) e sfidante. The demand for materials health and transparency is becoming increasingly more prevalent in the industry, and Greenbuild’s agenda this year reflected this. In addition to a full-day Materials and Human Health Summit, more than a handful of education sessions devoted to the topic, and the U.S. Green Building Council (USGBC) and UL Environment partnership announcement, USGBC CEO Rick Fedrizzi just announced that they are creating a new Center for Green Building and Human Health. As I noted in our Greenbuild preview piece last week, LEED v4’s new Materials and Resources (MR) section is providing a big push in this area, and plenty of time was devoted to educating Greenbuild attendees on the ins and outs of what will be required as the industry starts to sharpen its focus here. Even the expo hall included exhibitors labeling their products with green building declarations in preparation for new MR credit requirements. But perhaps the bigger push is from the private sector, led by Google’s efforts to push product transparency and prioritize employee health. To push the market one step further, Google provided USGBC with a $3 million grant for healthy building materials research last year. While this movement is causing increased tension within the building product manufacturing community, it’s a good sign that the industry is valuing human health, product transparency, and lifecycle impacts more than ever. During the plenary talk about LEED v4 and Performance, Scot Horst, senior vice president of LEED, described the new LEED as becoming more focused on outcomes so that building owners have a better understanding of how to manage their buildings to meet full performance potential. While this seems like it should be common sense, here’s the context: Under previous LEED standards, projects certified under new construction standards were based on design strategies and energy models that weren’t verified post-occupancy. While there is a LEED standard for existing buildings based on actual performance, there was not a reliable way to bridge the gap between design and performance in all LEED certified projects. To address this issue, Horst unveiled USGBC’s new LEED Dynamic Plaque, which is currently being piloted in USGBC’s LEED Platinum certified headquarters in Washington, D.C. It’s a Web-based performance dashboard that monitors the energy, water, waste, transportation and something called “human experience” data from the LEED building on a real-time basis, comparing the building with others that are similar locally and globally, then re-scoring the buildings every day. So, if a new construction building becomes LEED certified after being built, then this dynamic plaque would monitor its actual performance after it was occupied. The plaque would then help the facilities manager track and optimize its performance over time – or risk getting a lower score. Horst explained that USGBC’s headquarters building dropped from LEED Platinum to Gold after installing the dynamic plaque, which motivated them to address their performance quickly. Watch the video above, created by IDEO, the design firm that helped USGBC with this initiative, for more detail. In order to design, build, and operate in a world affected by climate change, the need for scalable solutions applied within local context is key. And it seemed that many of this year’s Greenbuild discussions were all about scalability, from addressing portfolio management tools to leveraging the structure of large companies to solve global design challenges more effectively. The necessity of scalable solutions was particularly powerful during the plenary speech by Ed Mazria, founder and CEO of Architecture 2030. Mazria began by reminding the audience of how much is at stake for humanity in the next 20 years of design choices. “Getting to carbon neutral is a two-step process,” he said. “Step one is design and planning for resiliency, sustainability and low carbon. We can design out 70-80 percent of the energy consumed by the built environment if we know the information and have the tools.” And the second step involves transitioning to renewable energy. To address this design issue, Mazria announced the launch of a free online platform called the 2030 Palette to help accelerate the Architecture 2030 mission toward building more sustainable, low-carbon and adaptable built environments worldwide. The platform gives building design professionals the tools to take local action – from the regional scale down to the buildings and building elements – in an intuitive and accessible way. By giving planners and architects a giant toolkit for making smarter design choices and a platform to help each other, Mazria hopes to scale green building faster. Another example of how the movement is scaling is through its engagement with the international community. As Fedrizzi noted in his keynote last Thursday night, the World Green Building Council now numbers nearly 100 countries and growing. During Greenbuild’s International Summit last Tuesday, it was announced that Greenbuild for Europe and the Mediterranean region will launch in Verona, Italy in 2014. This is big news since it’s the first time Greenbuild is going global. “This new experience will serve as a platform for green building knowledge and shared expertise across continents, while scaling the breadth and reach of global market transformation,” Fedrizzi said. ture of large companies to solve global design challenges more effectively. Elaine Hsieh is director of the VERGE program for GreenBiz Group, leading the global event series that bridges sustainability and technology — specifically, the convergence of technologies bringing a new era of radical efficiency to buildings, transportation and energy systems. She has over 15 years of experience consulting with Fortune 500 companies on sustainability, green building, and technology issues. Elaine has a solid technical background with understanding of the energy, construction, biotechnology, education, retail, manufacturing, and finance industries. She has been featured in Mashable, Green Economy Post, Reuters, the Guardian, and other publications for her social media influence within the green building, business and sustainability communities. Greenbuild 2013 in Philadelphia is approaching (November, 20-22). It will also be the time to present officially, to the widest possible audience, the novelties of the new LEED v4 certification system. If you are not yet convinced of the impact of buildings on the environment and on energy consumption, and/or if you do not know the numbers of the exponential growth of LEED in the world … well, if you want to learn more, these are the green building facts, straight from the pages of the U.S. Green Building Council. The problem vs the opportunity. Buildings use 13.6% of all potable water, or 15 trillion gallons per year. 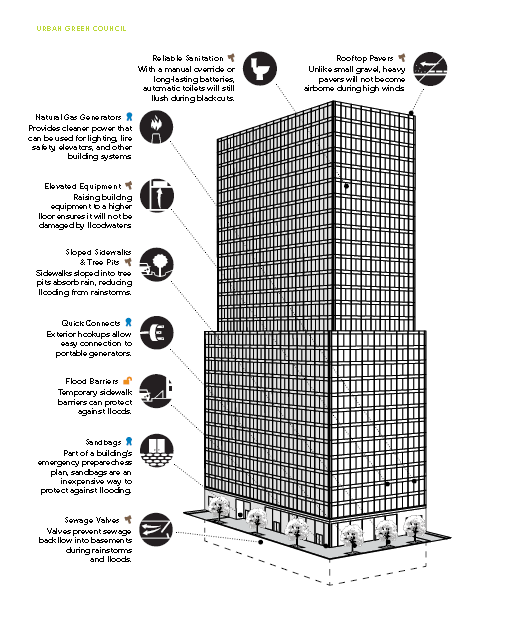 Buildings use 40% of raw materials globally (3 billion tons annually). LEED projects are responsible for diverting over 80 million tons of waste from landfills, which is expected to grow to 540 million tons of waste diversion by 203o. More than 2.7 billion square feet of building space are LEED-certified (as of October 1, 2013). 41% of all nonresidential building starts in 2012 are green, as compared to 2% of all nonresidential building starts in 2005. With energy efficiency financing having the potential to soar from $20 to $150 billion annually, over one million jobs could be created. Let’s retrofit! Square footage of LEED-certified existing buildings surpassed LEED-certified new construction by 15 million square feet on a cumulative basis. Approximately 61% of all construction projects are retrofit projects. The market share of retrofit projects that are green is expected to rise to 20-30% in 2014. LEED is becoming increasingly international: 40% of all projects pursuing LEED are located outside of the U.S.
L’innovazione cambia la mappa del lavoro in America. Where you live matters more than ever. L’America riparte da Internet. Le città hi-tech creano più lavoro. Segnalo e riporto integralmente l’articolo del 28.07.2013 con il quale inizia su La Stampa la collaborazione di Enrico Moretti, docente di economia alla University of California di Berkeley . Quando pensiamo agli Stati Uniti immaginiamo spesso una nazione dalle caratteristiche omogenee. Non è così, anche per quanto riguarda la situazione economica di questi anni. Ci sono almeno 3 Americhe, secondo Moretti: una che si sta sviluppando sotto la spinta dell’innovazione (Internet, green technologies) tra la Silicon Valley, Boston e Seattle; una che soffre un’inesorabile e drammatico crepuscolo legato alla crisi dell’industria tradizionale (Detroit su tutte) e la terza, che rappresenta il resto degli USA, in evoluzione o involuzione tra uno o l’altro dei due modelli citati. Due segnali forti provengono dalle aree a forte innovazione: la centralità del capitale umano (l’istruzione come leva per l’innovazione) e il riverberarsi (con un fattore 1:5, secondo la ricerca di Moretti) dello sviluppo verso fasce occupazionali non direttamente coinvolte nell’innovazione (in altre parole: ogni nuovo ingegnere genera altri posti di lavoro nei servizi locali collegati). E noi, in Italia, quale strada stiamo prendendo? Enrico Moretti è docente di economia alla University of California di Berkeley. Il suo libro ‘La nuova geografia del lavoro‘ (The new geography of jobs) è stato definito da Forbes ‘il libro di economia più importante dell’anno’ (‘Where you live matters more than ever’). Istruzione e innovazione fanno la differenza. L’indotto di Facebook e Google supera quello dell’industria. L’economia americana sta ripartendo. A differenza di quella italiana, negli Stati Uniti occupazione e salari medi sono in crescita da più di un anno. Il quadro economico, però, è profondamente diverso in aree differenti degli Stati Uniti. Mentre alcune regioni del Paese sono ancora in piena recessione, altre sono in piena espansione. Molte delle città della vecchia Rust Belt industriale hanno ancora tassi di disoccupazione alti. L’economia di Detroit, per esempio, continua a contrarsi e da questa settimana è ufficialmente in bancarotta, schiacciata da miliardi di dollari di debiti pubblici non pagati. Il mercato del lavoro in città ad alto tasso di innovazione, invece, è in piena espansione. L’esempio principale è San Francisco, la città dove vivo, che in questo momento è l’economia più dinamica in America. I posti di lavoro nel settore del software, Internet, semiconduttori, ricerca medica e farmacologica (in particolare biotecnologica), sono in crescita costante da anni e hanno nettamente ripreso forza dopo una breve pausa dovuta alla recessione. A questi settori tradizionali dell’hi-tech si sono aggiunti settori nuovi come il clean-tech, digital entertainement e i nuovi materiali (per esempio il nano-tech). L’occupazione sta crescendo così rapidamente che le imprese cominciano ad avere difficoltà a trovare lavoratori. Facebook e Apple stanno assumendo a ritmi senza precedenti. Google, che aveva già tra i salari più alti del settore, li ha dovuti alzare ulteriormente per evitare che i suoi dipendenti cercassero altri posti di lavoro meglio remunerati. Twitter ha raddoppiato la forza lavoro in meno di un anno. Nell’aria si percepisce un ottimismo tangibile e un senso di opportunità senza confini. I ristoranti, i caffè e i pub sono pieni. Le strade e le piazze sono affollate da giovani trasferitisi da poco dal resto degli Stati Uniti, che vengono a cercare lavoro o a creare lavoro. Centinaia di nuove start-up impegnate a disegnare le tecnologie del futuro vengono create ogni mese. A beneficiare di questa crescita non sono solo scienziati ed ingegneri. L’aspetto più importante di questa crescita è il suo effetto indiretto su chi non è impiegato nel settore. Questo aspetto è fondamentale, perché il lavoratore medio non sarà mai un impiegato di Apple, Google o di una startup della biotecnologia. Le industrie dell’innovazione portano a San Francisco buoni posti di lavoro, non solo direttamente nel settore dell’innovazione, ma anche indirettamente in altri settori, specialmente nei servizi locali e così incidono sull’economia locale, molto più in profondità di quanto risulti dal loro effetto immediato. Attrarre in una città uno scienziato o un ingegnere informatico significa innescare un effetto moltiplicatore che va ad aumentare i posti di lavoro e i salari di chi fornisce servizi locali. La mia ricerca dimostra che per ogni nuovo posto di lavoro ad alto contenuto tecnologico creatosi in una città vengono a prodursi cinque nuovi posti, frutto indiretto del settore hi-tech di quella città. Si tratta sia di occupazioni qualificate (avvocati, insegnanti, infermieri) sia di occupazioni non qualificate (camerieri, parrucchieri, meccanici, muratori). Per esempio, per ogni nuovo software designer reclutato da Twitter o da Google, a San Francisco si creano cinque nuove opportunità di lavoro per baristi, personal trainer, medici e tassisti. Nella prospettiva di una città, insomma, un posto di lavoro ad alto contenuto tecnologico è molto più che un singolo posto di lavoro. Questi trend non sono passeggeri ma riflettono un cambiamento strutturale nel mercato del lavoro americano e mondiale in atto da 40 anni. Siamo abituati a pensare all’America come un Paese unico. In realtà oggi esistono tre Americhe, molto distinte l’una dall’altra. A un estremo troviamo gli hub mondiali dell’innovazione: San Francisco, appunto, ma anche San Jose, Seattle, Austin, Boston, Raleigh e Washington. Sono città con una solida base di capitale umano e un’economia fondata su creatività e ricerca – città che da decenni continuano ad attrarre un numero sempre crescente di imprese di successo e di posti di lavoro con salari elevati. Queste città hanno una delle forze lavoro più istruite, creative e produttive del mondo. All’estremo opposto si collocano le città dove un tempo dominava l’industria tradizionale, ridotte a centri in rapido declino che continuano a perdere posti di lavoro e abitanti: Cleveland, Flint, Buffalo, Philadelphia e ovviamente Detroit. L’economia qui è caratterizzata da attività produttive tradizionali, livelli di capitale umano molto più bassi, e ovviamente retribuzioni modeste. Chi lavora nelle città nel primo gruppo guadagna il doppio o il triplo di chi svolge lo stesso lavoro nelle città nel secondo gruppo, a parità di qualifiche professionali. Il resto d’America si trova in mezzo a questi due estremi, e potrebbe evolversi in una direzione o involvere nell’altra. Le città con economie più forti si vanno rafforzando, mentre le città con economie più fragili vanno indebolendosi. Questa «grande divergenza» è in atto in tutto il mondo occidentale, ed è uno degli sviluppi più importanti nella storia economica e sociale dal dopoguerra a oggi. Il divario crescente tra città nel livello di sviluppo economico non è un fenomeno accidentale, ma l’ineluttabile risultato di forze economiche con radici profonde. Le sue cause ultime risiedono in un cambiamento profondo e strutturale nei modi di produzione che sta investendo, seppure a velocità diverse, tutte le società post-industriali. Negli Anni 50 e 60, il successo economico di una città o di una regione dipendeva dalla manifattura. Città come Detroit e Cleveland erano tra le più ricche al mondo perché avevano i settori industriali più dinamici, e questo si traduceva in occupazione fiorente e salari tra i più alti sulla faccia della terra. Lo stesso, anche se su scala minore, accadeva a Torino, Milano e Genova. Negli ultimi cinquant’anni, tutto questo è cambiato. Gli Stati Uniti sono passati da un’economia fondata sulla produzione di beni materiali a un’economia basata su innovazione e conoscenza. L’occupazione nel settore manifatturiero si è dimezzata e continua a calare anno dopo anno. L’occupazione nel settore dell’innovazione è cresciuta a ritmi travolgenti. L’ingrediente chiave di questo settore è il capitale umano, e dunque istruzione, creatività e inventiva. Il fattore produttivo essenziale non sono più i macchinari ed infrastrutture fisiche, ma le persone: sono loro a sfornare nuove idee. La mia ricerca mostra che a partire dagli Anni Settanta il destino economico delle città americane comincia a dipendere in misura sempre maggiore dal livello di istruzione dei loro abitanti. Le città con un più alto numero di lavoratori provvisti di formazione universitaria hanno cominciato ad attirarne sempre di più, mentre le città con una forza lavoro meno istruita hanno iniziato a perdere terreno. È un trend in accelerazione: l’effetto è che la distribuzione geografica dei lavoratori americani va sempre più configurandosi in base al profilo professionale. Proprio mentre stanno assistendo alla scomparsa delle segregazione razziale, le comunità americane vedono crescere la segregazione socioeconomica. Questa tendenza si osserva anche in Gran Bretagna, sebbene in misura minore, e nell’Europa continentale, Italia inclusa. La scolarità è divenuta la nuova discriminante sociale, sia a livello individuale che di comunità. L’economia post-industriale, basata sul sapere e sull’innovazione, ha una tendenza intrinseca molto forte verso l’agglomerazione geografica. Città e regioni in grado di attirare lavoratori qualificati e imprese innovative, tendono ad attirarne sempre più; le comunità che non riescono ad attrarre lavoratori qualificati e imprese innovative, invece, perdono sempre più terreno. In questa realtà, il successo propizia ulteriore successo, mentre l’insuccesso condanna ad altri insuccessi. La ragione è un cambiamento profondo nel modo in cui si produce oggi. Nella nuova economia dell’innovazione il successo di un’azienda o di una città non dipende soltanto dalla qualità dei suoi lavoratori, ma anche dall’ecosistema produttivo in cui è inserita. Un insieme sempre più nutrito di studi economici sta rivelando che le città non sono una mera concentrazione di individui, ma un ambiente complesso e ricco di interrelazioni che favorisce la creazione di nuove idee e nuovi modi di fare impresa. L’interazione sociale tra gli imprenditori, per esempio, tende a generare opportunità di apprendimento che vanno a beneficio dell’innovazione e della produttività. Stare tra persone intelligenti ci rende più intelligenti, più innovativi e più creativi. Operando in contiguità geografica, gli innovatori rafforzano reciprocamente il proprio potenziale creativo e accrescono le proprie possibilità di successo. Questo è un aspetto importante, perché fa sì che mentre l’industria tradizionale continua a delocalizzarsi in Paesi in via di sviluppo, l’industria dell’innovazione continua a concentrarsi in poche aree chiave del mondo. Per esempio, uno stabilimento tessile è un’entità autonoma che può essere collocata più o meno in qualsiasi parte del mondo dove ci sia abbondanza di manodopera. È facile per un produttore americano o europeo delocalizzare in Bangladesh o in Romania. Ma un laboratorio biotecnologico o elettronico è piuttosto difficile da trasferire altrove, perché non si tratta di spostare solo un’azienda, ma un intero ecosistema. Per rimanere creativo e innovativo, deve stare vicino ad altre imprese high tech. Quindi una città che già possiede lavoratori creativi e aziende innovative vedrà evolvere la propria economia in direzioni che la renderanno ancora più attraente per gli innovatori. È questo, in definitiva, ciò che determina la «grande divergenza», per cui alcune città vedono aumentare la concentrazione di buoni impieghi, talento e investimenti, mentre altre vanno in caduta libera. Queste dinamiche, già molto chiare in America e ancora in nuce in gran parte d’Europa, hanno importanti implicazioni per il futuro di molti Paesi europei. In questo quadro, l’Italia non è messa molto bene. Con una struttura industriale vecchia e poco innovativa, l’Italia è più vicina a Detroit che a San Francisco. Nei prossimi articoli esploreremo in dettaglio che cosa causa queste dinamiche e che cosa implicano per il futuro dell’Italia. Enrico Moretti is Professor of Economics at the University of California, Berkeley where he holds the Michael Peevey and Donald Vial Career Development Chair in Labor Economics. He is the Director of the Infrastructure and Urbanization Program at the International Growth Centre (London School of Economics and Oxford University). He is also a Research Associate at the National Bureau of Economic Research (Cambridge), and a Research Fellow at the Centre for Economic Policy Research (London) and at the Institute for the Study of Labor (Bonn). His research interests include Labor Economics, Urban Economics and Applied Econometrics.